Manila Water conducts education campaign to Pateros students | Manila Water Company, Inc.
Manila Water together with the Metropolitan Manila Development Authority (MMDA) and the Pateros Municipal Environment and Natural Resources Office (MENRO) recently conducted an information campaign on used water management and environment protection to 500 students in Pateros National High School and Pateros Catholic School. 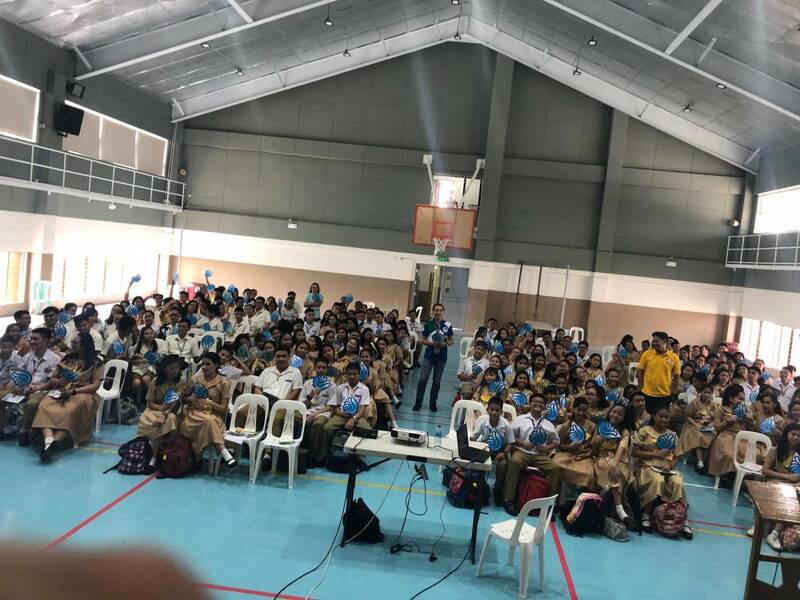 East Zone water and used water concessionaire Manila Water conducted back-to-back information campaigns on water conservation and used water management to 500 students in Pateros National High School and Pateros Catholic School. Manila Water’s Advocacy and Research Department spearheaded the campaign along with the Metropolitan Manila Development Authority (MMDA) and the Pateros Municipal Environment and Natural Resources Office (MENRO). Joan Miranda, Manila Water’s Advocacy Manager, also introduced the students to the company's "Toka Toka" advocacy, the first and only environmental movement in the Philippines on used water management as a vital contributor in reviving our rivers and waterways. The movement aims to drive everyone to do his share or “toka” to protect the environment which can translate into any of the four ownable acts: (i) segregating and disposing wastes properly, (ii) availing Manila Water’s desludging service every 5 years, (iii) connecting to Manila Water’s sewer line and (iv) educating the community through various information drives. In March 2014, Manila Water and the local government of Pateros signed a Memorandum of Agreement to intensify its Toka Toka program in the municipality. Since then, Toka Toka information and education campaigns have been conducted for the elected barangay officials and homeowners association officers as well as Toka Toka public message billboards have been installed in the municipal hall, barangay offices and strategic areas near rivers and creeks. Residents were also encouraged to observe proper waste segregation. Manila Water is the private east concessionaire of Metropolitan Waterworks and Sewerage System that serves more than 6 million residents in the eastern portion of Metro Manila and the province of Rizal.